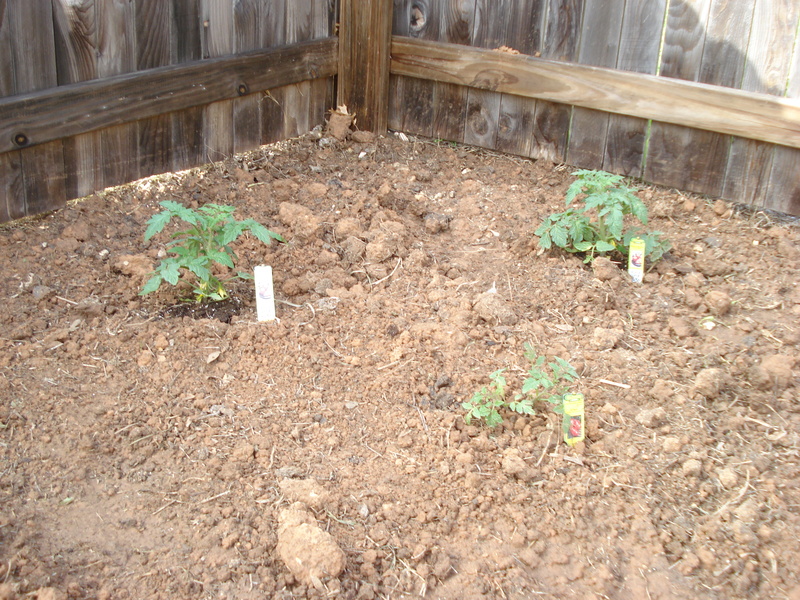 In deciding to plant a garden this year, one of the things Kenley and I were most excited about planting was tomatoes. Truth be told, I’m not a huge fan of eating the fruit — however, my love of cooking with tomatoes is a completely different story and Kenley loves eating them. Having never grown tomatoes before, we experienced some growing pains and have a small list of “what to do better next time”. 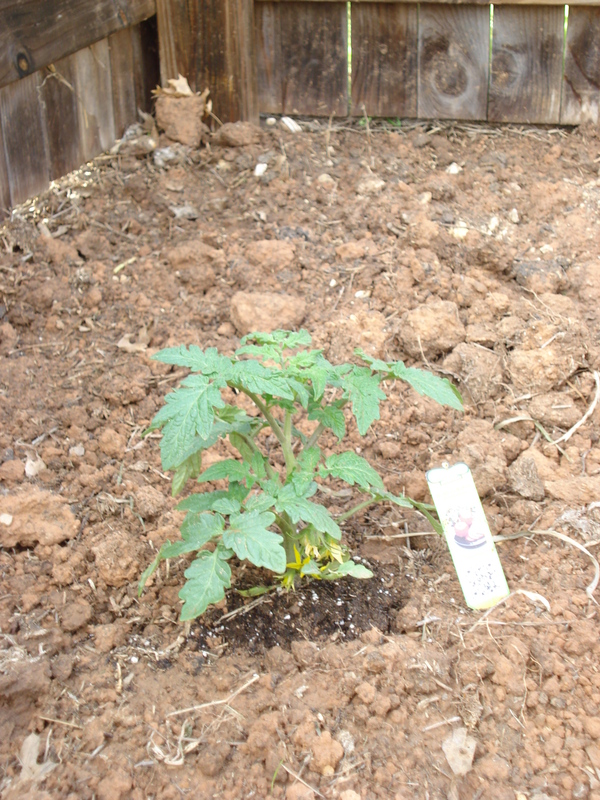 To start, we bought six small tomato plants at the Home Depot garden center the end of February. Four Roma plants and two beefsteak. I planted them in what seemed like a good distance apart and started a regular watering schedule. They grew. Unfortunately, I don’t have any pictures of the plants before we got the tomato cages put in. We first waited until the plants were big enough, and then it became something that we just didn’t get around to doing and didn’t think would be a problem if we did it late in the game. The cages were extremely difficult to get around the plants that had spread out and started “mingling” with each other. It was a two-person job trying to get the leaves and stalks in without damaging the plants. After about two weeks, the plants are starting to grow within the cages and are doing much better. It’s important that the plants grow “up” and not “out” so that the fruit doesn’t lay on the ground and fall prey to worms, birds, etc. 1. Follow the planting guidelines and make sure there is enough space in between plants. They will grow! And grow… And grow! 2. As soon as the plants start to get bigger, put the tomato cages in. Otherwise you will have a difficult time getting them to grow into them later. Cages can also help a bit with bird control (not completely, but it will keep the fruit from being so accessible and laying on the ground). 3. Mulch while the plants are still young. Mulch keeps not only moisture in the soil but also cuts down the amount of weeding you will have to do. Even with the cages, it is harder to get under and around the plants to weed. 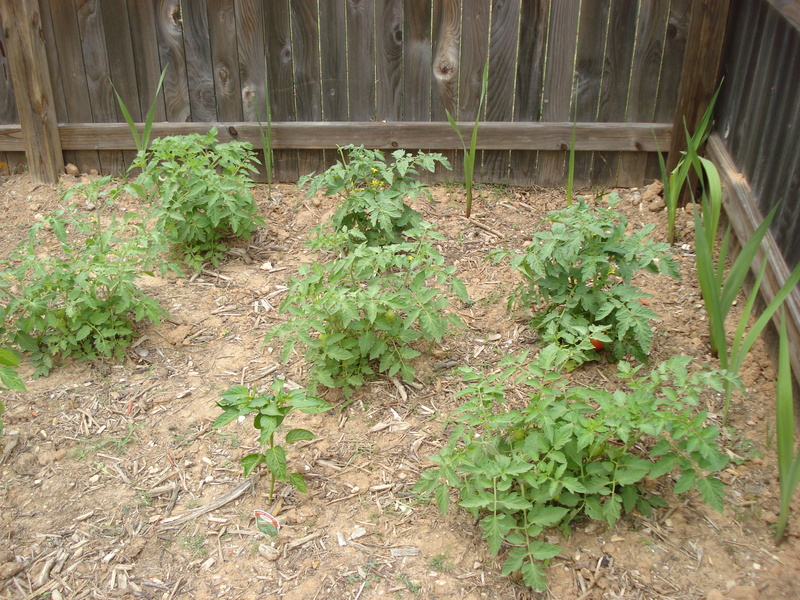 Weeds compete with your vegetables for soil nutrients which is not something you want for your tomatoes! There should be at least a three inch layer of mulch surrounding your plants. 4. Be wary of pests and know how to prevent them. One of the joys of growing your own vegetables is knowing that your food won’t be covered with chemicals. However, creepy crawly bugs can get in the way of enjoying your produce. There are organic sprays out there. Just make sure to read the labels very, very carefully. 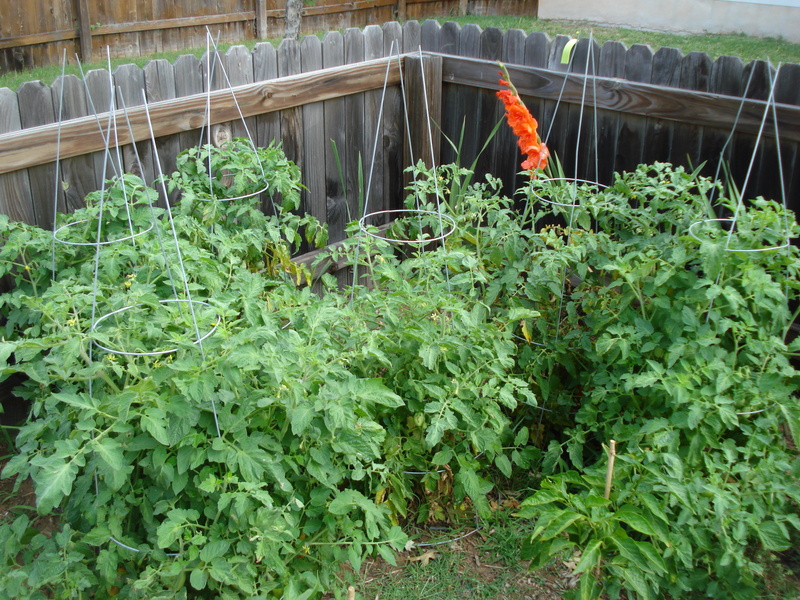 We personally used Safer Brand Tomato & Vegetable Insect Killer for organic gardening and it worked great! Growing pains are always necessary to move forward in life. There were some missteps along the way, but now we have the start of a wonderful harvest, and the possibilities are endless! 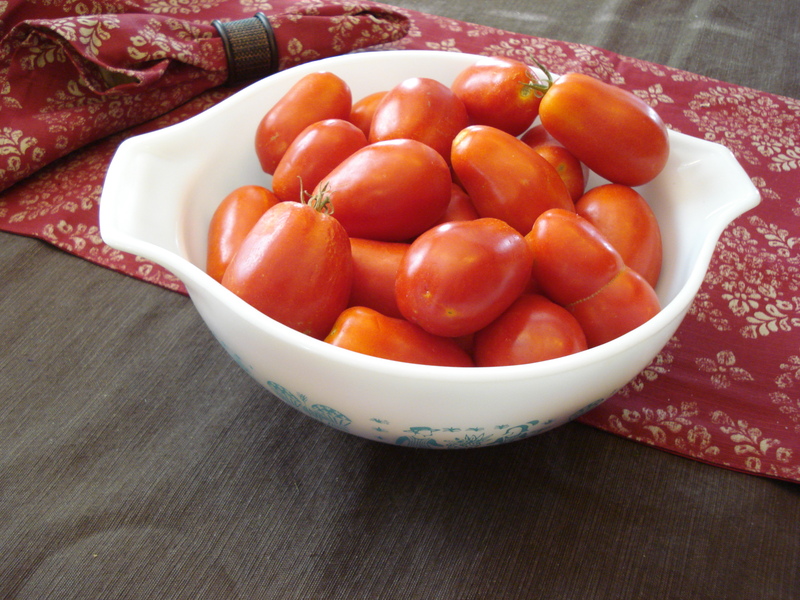 This entry was posted on June 4, 2012 by Jessica Romigh in Green Door Adventures, Vegetable Garden and tagged gardening, plants, Safer Brand Tomato & Vegetable Insect Killer, tomato cages, tomatoes, vegetables.